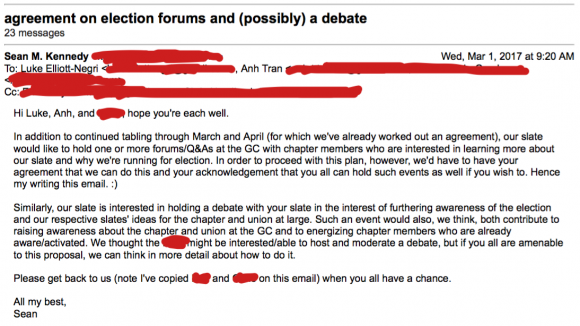 Dirty Tricks: The GC Chapter Election - "The diamond that cuts through illusion." 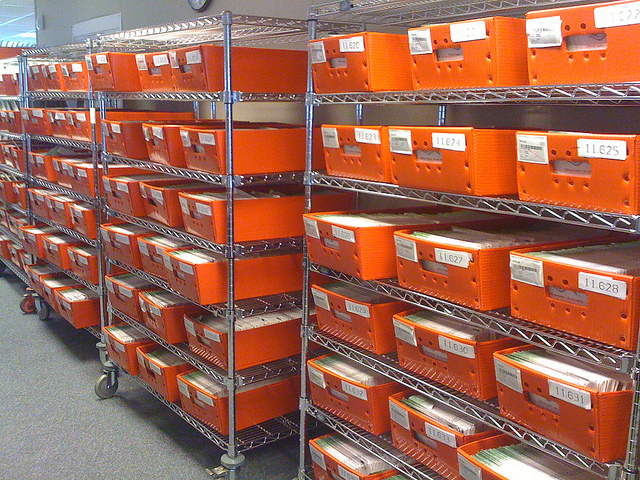 Image: "BALLOTS!" via CC BY-NC-ND 2.0. 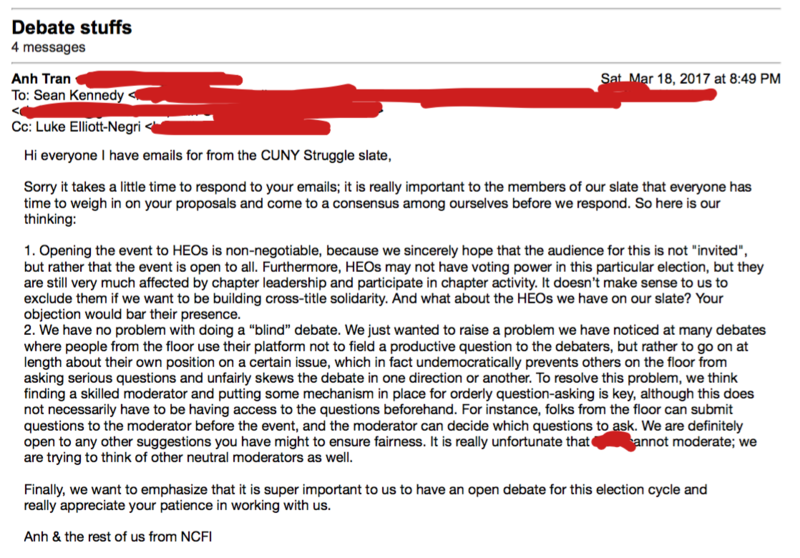 On why I ran on—and stepped down from—the CUNY Struggle slate (and the real story about the GC election "debate"). As a strong critic of liberal democracy—indeed, an opponent of it at this point, because, as I contend in my dissertation, it’s irreducibly a settler, racial-capitalist form—I should've known not to get so directly involved in liberal-democratic politics as to run in an election for union office. In addition to pushing back against our proposed restriction on attendance to eligible voters in the contested chapter election, they also wanted to cut the length of time for the debate and, crucially, wanted to solicit questions in advance and mutually agree upon the ones we'd be asked at the debate, with a small window devoted to live questions at the event itself. 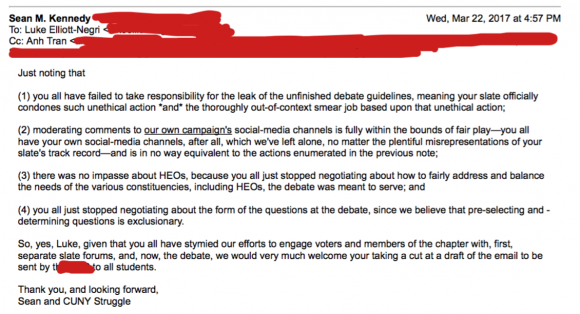 - ii is a deal-­breaker for us: we will not participate in a debate in which questions are pre­arranged. It's anti­-democratic and not even the U.S. presidential debates operate in such fashion. - What is your all's rationale for inviting people who can't vote in the election? If you can provide an argument, we'll consider it. 1. Opening the event to HEOs is non-negotiable, because we sincerely hope that the audience for this is not "invited", but rather that the event is open to all. Furthermore, HEOs may not have voting power in this particular election, but they are still very much affected by chapter leadership and participate in chapter activity. It doesn’t make sense to us to exclude them if we want to be building cross-title solidarity. And what about the HEOs we have on our slate? Your objection would bar their presence. Nevertheless, we're open to having HEOs present if questions from eligible voters in the contested election can be prioritized. An election debate in its very purpose is to provide information to voters who must make a choice. You say you're concerned with people asking questions who go on forever; we're concerned with people who can't vote in the contested election taking question time away from people who can vote in the contested election. 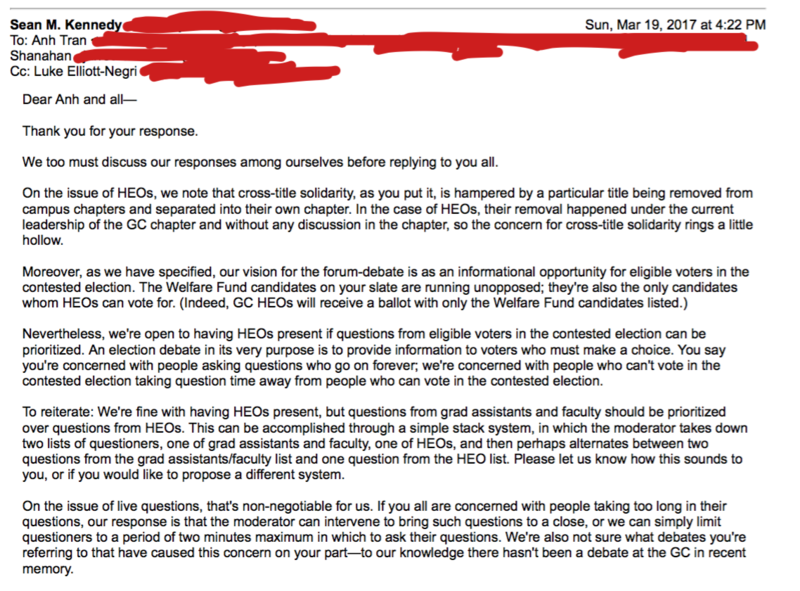 To reiterate: We're fine with having HEOs present, but questions from grad assistants and faculty should be prioritized over questions from HEOs. This can be accomplished through a simple stack system, in which the moderator takes down two lists of questioners, one of grad assistants and faculty, one of HEOs, and then perhaps alternates between two questions from the grad assistants/faculty list and one question from the HEO list. Please let us know how this sounds to you, or if you would like to propose a different system. On the issue of live questions, that's non­-negotiable for us. If you all are concerned with people taking too long in their questions, our response is that the moderator can intervene to bring such questions to a close, or we can simply limit questioners to a period of two minutes maximum in which to ask their questions. We're also not sure what debates you're referring to that have caused this concern on your part—to our knowledge there hasn't been a debate at the GC in recent memory. One of the main reasons we're running in this election is to prioritize the needs of adjuncts and graduate assistants in all aspects of the union. Both groups—and there's some overlap between them—are severely underrepresented on the union's governing bodies and in the priorities of the union. By contrast, full-time faculty and HEOs are well-represented, aa any GC chapter meeting can attest, at which HEOs are especially in abundant presence and regularly ask questions. To see this position as the "exclusion of HEOs," as has been claimed, is to miss (1) that HEOs are actually excluded from voting in the election except for the two Welfare Fund candidates (who are running unopposed and so will be elected) by the policy maintained by the New Caucus, (2) that HEOs are well-represented in all other ways, and that (3) adjuncts and grad assistants are routinely excluded from union matters, including in this election through policies such as the use of paper mail-in ballots only, when many grad assistants frequently move, or the four-month delay in being able to vote in an election or run as a candidate from when a member joins the union. In other words, to focus on the "exclusion of HEOs" here is to misrepresent the ways different titles of workers are actually excluded, and to work against remedying these exclusions. 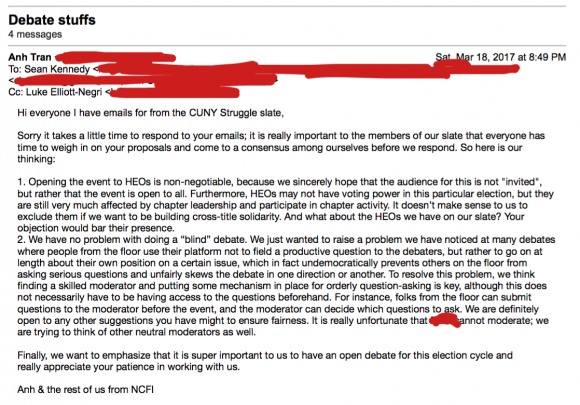 It also serves the with-us-or-against-us, divide-and-rule strategy that the New Caucus has so successfully used over its 17-year reign to keep the focus off their failure to meaningfully create change for the most precariously situated members of the union—a destructive logic that CUNY Struggle was created in part to resist. And it is a struggle to create such change, which is why were engaged in what we thought was a good-faith discussion with the NC slate to work out an agreement that worked best for all involved: as the HEO noted, we'd already moved past our proposal to limit attendance and agreed to have HEOs present, although we were still working out the arrangement for questions. 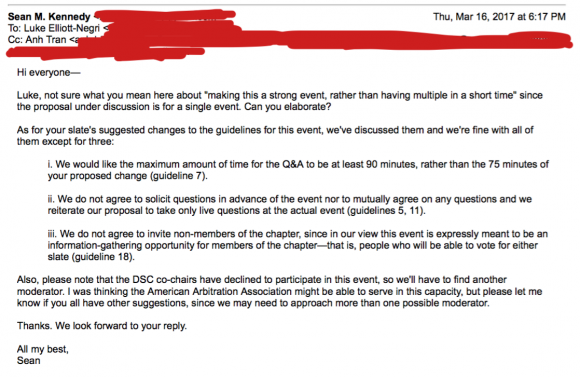 Indeed, we were hoping the NC slate would move past their position on soliciting and deciding on questions in advance, which we saw as exclusionary. To my mind, if we didn't call out the New Caucus slate’s dirty tricks and reframe, we had no chance of winning the election—because the dirty tricks—and the distortions, fear-mongering, and reactionary “solidarity”—are the main tactics of the New Caucus at large, and what have kept it in power for 17 years. This is such a severe violation of what we thought was a good-faith negotiation about the form of the forum-debate, an event, not incidentally, that we initiated discussion of in order to engage eligible voters in the election and which you all have dragged your feet on. 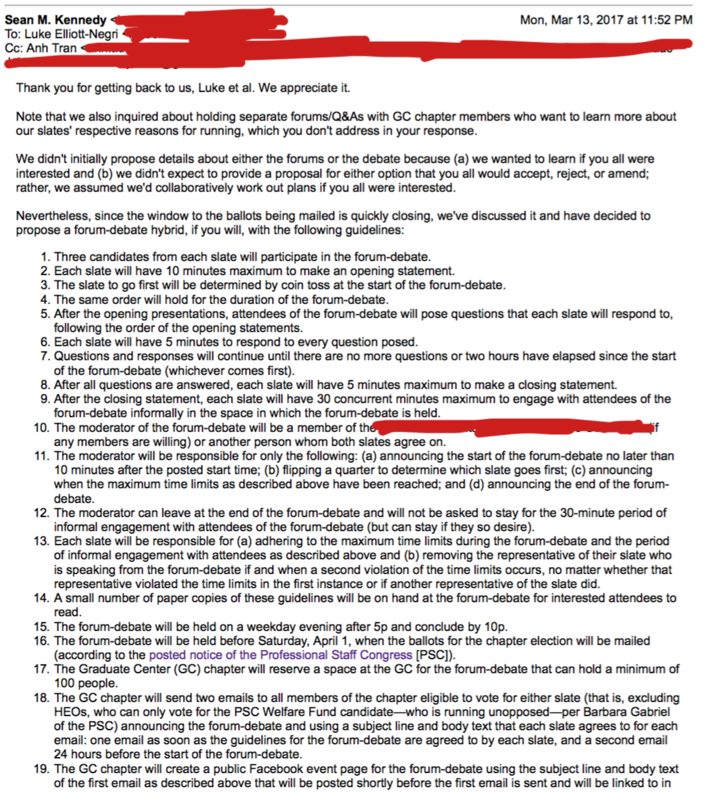 The guidelines have yet to be formalized and we would never have dreamed of leaking the in-progress/changing draft to people who aren't on our slate, let alone allow the circulation of those incomplete guidelines in order to smear your slate's campaign effort. Should we have circulated your request to pre-select questions? Should we do that now? 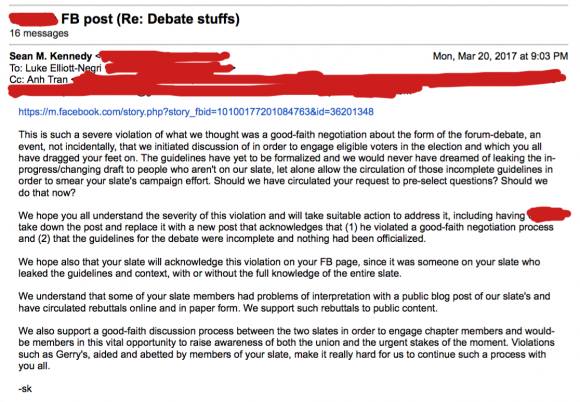 We understand that some of your slate members had problems of interpretation with a public blog post of our slate's and have circulated rebuttals online and in paper form. We support such rebuttals to public content. We also support a good-faith discussion process between the two slates in order to engage chapter members and would-be members in this vital opportunity to raise awareness of both the union and the urgent stakes of the moment. Violations such as [redacted]'s, aided and abetted by members of your slate, make it really hard for us to continue such a process with you all. I really really really want to urge us to post a revised version of the statement re the debate that I circulated the other day. We are at such a severe deficit in messaging right now that we need to both (1) call out the debate shenanigans (in a "civil") way and (2) get above their messaging by pointing out how we were interested in trying to craft a genuine set of debate guidelines that would overcome the constraints placed on the debate by issues such as HEOs not being able to vote in the slate election (they can vote for the Welfare Fund candidates, who are running unopposed), and, further, that we were taking into consideration who's left out of chapter and union discussions and trying to amplify the voices and questions of grad workers and adjuncts while also incorporating HEOs (as we started to do in the discussion with the opposing slate). This reframes their message about solidarity (which is twisted) and exclusion, since it covers up the fact that their proposed guidelines, including the equal access of HEOs *and* their intention to have pre-screened questions. I emailed on Sunday night that I expected their dirty tricks to escalate, and they did, and now they're in full force. We rightly prioritized getting the platform out and done, but we now need to fully take on this matter, and then we can put it behind us. This is a fierce political campaign now, and messages need to be countered. Otherwise we'll lose the whole discursive battle, which is not an insignificant battle no matter how little we think people care about this or not, or how little effect we think our blog posts and FB posts have or not (and they don't have a small effect, btw). Finally, we owe a strong response to all the other unions in North America who have insurgent activists either leading them or otherwise agitating for change. Whether we win or lose this election (and now I really wanna win! haha), it's important to have a track record of what's going on, for future study and analysis. In the meantime, please connect with me at the Adjunct Project if you like—not incidentally, the one organizing formation (out of many) I’ve been a part of that’s been a consistent example of genuinely collective decision-making and horizontal organizing, no matter how painstaking and slow it can be (and it is both). I may not be “in it to win it,” to quote another Clinton-campaign chestnut, but I'm in the struggle for genuine change for the long haul.